Not the “don’t deal with your personal problems while other people are around” kind of dirty laundry, but the “let’s clean some cloths” kind! To get us started, it is important we review the official definition of a project: the Project Management Institute defines a project as “a temporary endeavor undertaken to create a unique product, service, or result.” While much of your workload as a Salesforce Admin is operational (think managing users and account ownership, regular data loads, etc. ), a good amount of the work you do is project based. 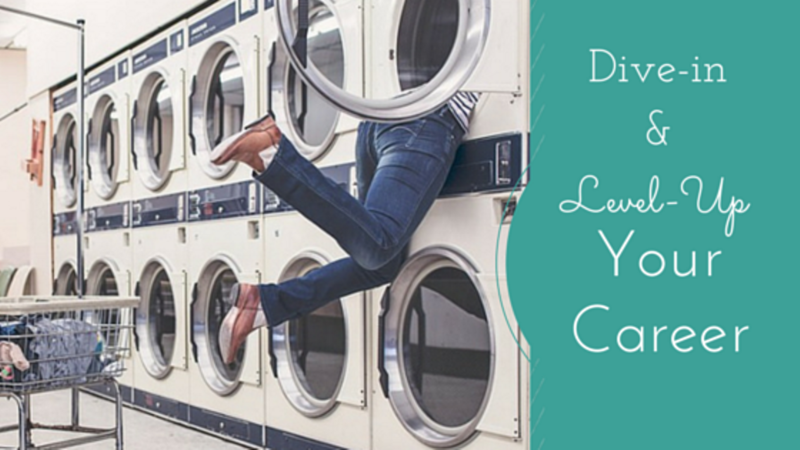 For the purposes of simplifying the project management methodology, let’s think about doing laundry on any given Sunday from a project manager’s perspective (the “Dirty Laundry Project”). In this scenario, the person washing the dirty laundry is also the project manger and sole member of the project team (much like a solo Salesforce Admin!). In order to create the unique results of this endeavor, she must follow a certain set of methodologies, called the Project Process Groups. In an effort to highlight where you can apply these techniques (I like to think of them as super powers!) in your work as a Salesforce Admin, we will review all five here in detail! The five Project Process Groups are called initiating, planning, executing, controlling and monitoring, and closing. During the life of any project, the project manager must take the time to focus vital attention to all five of these process groups. Each process group has what are called process “inputs and outputs,” and certain outputs become inputs for future processes! An input includes anything required before a certain stage of a process group can begin, and an output is a product, result, or service generated by a certain process within a process group. Wow how exciting! Now the coolest part is that not every project will require the use of all 44 individual processes, but project manager’s responsibility is to understand the importance of each and decide when to use them. In this example, performing the Dirty Laundry Project does not require the implementation of all 44 individual processes, but the five Project Process Groups are definitely in action. The Initiation Process Group: This process group is where the project manager defines the project’s purpose, identifies objectives and receives authorization to begin the project. Developing the project charter and the preliminary project scope statement are the two major outputs of initiation. Although a project charter is not necessary in this project, where the project manager is washing her own laundry, typically the project manager creates this document in order to receive authorization to begin the project from her stakeholders. The Planning Process Group: The largest process group, which includes 21 of the 44 individual processes, is planning. A project manager spends a great deal of time planning. The most important output of this process group is the project management plan. This plan “defines how the project is executed, monitored and controlled, and closed.” As the planning stage of the Dirty Laundry Project is entered, there are several inputs and outputs that are needed, including scope definition, cost estimate, and the work break-down structure (WBS). Scope definition: No matter how small the project, defining the scope is always a necessary process. The scope clearly defines what the deliverable is. In the case of the Dirty Laundry Project, the end result is clean cloths. “Clean Cloths” will be defined as cloths that have been properly washed, dried, ironed (if applicable) and folded in a drawer and/or hung in a closet. The scope description, or the characteristics of the results of this project, is to produce Clean Cloths, within budget, by the end of the day, Sunday. Cost estimate: The cost estimate depends on how many loads of laundry will need to be done to complete the result. It is always important to make sure the amount of quarters available correspond with the amount of loads that will need to be completed. The cost in this scenario is three dollars a load for four loads, so twelve dollars will need to be available. If this process is left out, chaos could occur. For example, after putting the last load of laundry into the washing machine the project manager might realize she does not have enough quarters to dry them. This would force her to run around the house trying to find stray quarters in every drawer and under every cushion. Then, if extra quarters are not found around the house, a run to the corner gas station will be necessary. Once there, she will need to convince the cashier to trade quarters for dollar bills. Poor planning in this area is the cause of uncomfortable and unnecessary situations! Fun thought: we could have added to (or been asked to add to) the scope that a requirement was to install a washer and dryer in the apartment… imagine how that might change the cost estimate and scope dependencies! Work break-down structure (WBS): The third process in the Planning Process Group is to create the WBS, which outlines all of the smaller tasks that go into producing the scope/deliverable. The work for this project includes finding all washable items throughout the house, including washrags and bathroom towels. Then, sorting dirty cloths by color and then by either normal wash loads or delicate wash loads. Newly bought, never before washed items will need to be identified and the washing instructions (located on the tag of the item) will need to be inspected. Sometimes there will be items that fall into the category of extra delicate; these items might need to be hand washed in the bathroom sink. Particular undergarments will only be washed on delicate and not put into the drier at all; instead they will be air-dried (or hung in the bathroom until dried). Some loads, such as bath towels and bed sheets, will require extra drier sheets for extra softness. Certain white loads will need bleach to make them extra white and other loads will require all items to be turned inside-out, which will help preserve these items’ unique colors and/or designs printed on the outside. After sorting, inspecting, proper washing and proper drying methods are completed, there are still final touches of necessary work, which will insure the project is completed successfully. This work includes ironing (if applicable), hanging items in the closet and/or folding items that will need to be put away in a drawer. Fun thought: Imagine how the cost estimate and scope dependencies might change if the project manager must travel to a laundromat! The Executing Process Group: The third process group is executing; the processes in this group are used to actually complete the defined work. Normally, this process group focuses on acquiring the necessary resources to do quality assurance testing, team assignments and management, information distribution and bidding (or request for proposal processes that might be necessary, etc.). For the Dirty Laundry Project, all tasks are the project manager’s sole responsibility, and quality is in her complete control. The only outsourcing that might occur throughout this process is if another member of the household is home, while the project is taking place, to help carry cloths up and down the stairs (or to perform other tasks as guilt-tripped into performing, but that is another blog post!). If the project manager checks off each item on the defined work list (WBS), it will guarantee that all quality expectations are met. The Monitoring and Controlling Process Group: From the moment of initiation, the fourth process group is in action. The monitoring and controlling process group is made up of processes that happen throughout the entire life of the project. Managing changes to the scope would take place in this group, and a change could happen at any moment! For example, if a member of the household happens to get stuck in the rain, and splashed through the mud, then came home in the middle of the project; those cloths would need to be washed immediately. This would affect both the cost and schedule of the project, and proper modifications would need to be made. The Closing Process Group: Lessons from past project experiences must be learned and be corrected in future projects. In the past, maybe this project manager had problems where she shrunk cloths because they were cotton, washed wool items when they should have been brought to the dry cleaner, or learned that some items always need to be air-dried even when the washing instructions for that item says otherwise! But she continuously learns from these mistakes and corrects her actions for future dirty laundry projects. As a Salesforce Admin, you have experience implementing solutions on the force.com platform, but you might not have looked at the project based work from such a methodical perspective before. If you give it a try, you might find that you feel more organized and your results are more comprehensive (instead of really clean cloths folded neatly in a drawer, think freshly pressed cloths hung up in the closet with a hand steamer always at the ready and pre-heated waiting for you in the morning!). I would love to hear how your experiences with these methodologies work for you, please post your stories at the Admin to Admin Academy group on the Salesforce success community! –The project management references in this post were acquired from A Guide to the Project Management Body of Knowledge (3rd ed. ), the Project Management Institute (2004).